Sam is from Rockford, Illinois and earned his PhD in Communication from The University of Texas at Austin. He has held appointments in higher education at the department, college, and central administration level. For more than 20 years he has provided leadership in engaging faculty with K-12, undergraduate, and graduate. He has worked with STEM industries and government agencies to develop successful STEM diversity initiatives at the K-12, undergraduate, graduate, and faculty level. Sam oversees Jackson School outreach programs to increase participation in the geosciences and promote a diverse future student body. Leah earned her Doctor of Philosophy degree in higher education from Ohio University as a Southern Regional Education Board (SREB) Doctoral Scholar. Her primary academic interests involve research on the college choices of under-served and under-researched student populations to address prominent higher education issues such as access, retention, degree completion, student involvement, and satisfaction. Her portfolio includes positions in career development, K-12 outreach, student affairs, athletics, and academic affairs. Leah oversees all of GeoSTEM and assists in other Jackson School outreach programs. Dana grew up in Baton Rogue, Louisiana enjoying the outdoors and taking road trips to National Parks with her family. She discovered geology as an undergraduate at Louisiana State University and fell in love with it as a way to tell stories about our planet. While obtaining her PhD in Geological Sciences from Stanford University, she was involved in teaching and outreach, developing a TA training program for graduate students, and participating in community science events. She’s the primary contact for graduating seniors and college students. She in charge of developing and evaluating learning experiences for GeoFORCE students and educators. Lindsay is from Flagstaff, Arizona and has a BS in Psychology from Northern Arizona University. 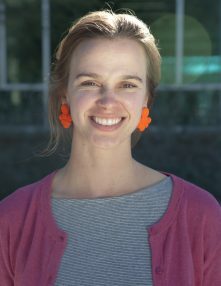 Before joining GeoFORCE, she worked with Grand Canyon Youth as a guide and teacher of environmental studies. She has also taught English for elementary through high school students in Ecuador and has volunteered to help elementary school students in accelerated math. She is the primary contact for general questions and oversees GeoFORCE program operations. John is from San Antonio, Texas. He graduated from the University of Texas at Austin with a BA in Government and History. 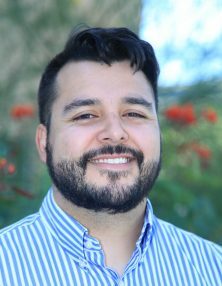 Before joining GeoFORCE, John worked with Advise TX as a College Adviser at Roosevelt HS in San Antonio, where he assisted students in SAT/ACT Prep, College Applications and Financial Aid. John is a GEAR-UP partner and the primary contact for questions about the GeoFORCE summer academy program. Jasmine is an Austin native. She earned a BS in Psychology with Multidisciplinary Honors from the University of Massachusetts at Amherst and was recognized with a distinguished leadership award for her service as a resident assistant in the Commonwealth Honors Dorms and the Spectrum Defined Residential Community. After graduating, she worked in elementary education and still teaches writing workshops through the Austin Public Library in her spare time. She helps coordinate the GeoFORCE summer academy program. Alison coordinates all aspects of the accounting and is the human resources contact for the program. Dan is a graduate of the University of Texas at Austin and a GeoFORCE alumni. He maintains office operations by handling logistical and organizational support tasks and ensures trip supplies and equipment are properly maintained and serviced. Selene is from Arlington, Texas and graduated from the University of Texas at Arlington. She’s worked with Central Development and the Liberal Arts School at UT Austin. Selene assists in all aspects of media for GeoFORCE, including video content, digital design, social media, and website design.